ReverseVision, Inc., the leading provider of technology and training for the Home Equity Conversion Mortgage (HECM) industry, today announced that legal analyst and cable news mainstay Bob “The Property Man” Massi will address attendees of RV UserCon 2018 in a session focused on the HECM for Purchase loan program. 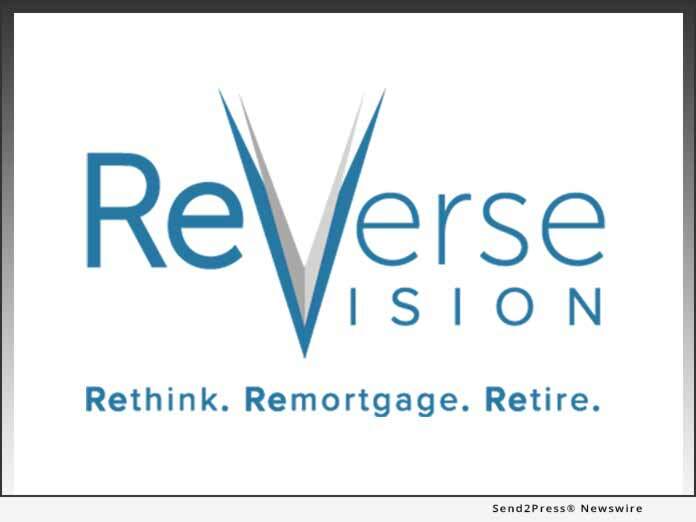 SAN DIEGO, Calif. /Mortgage and Finance News/ — ReverseVision, the leading provider of technology and training for the Home Equity Conversion Mortgage (HECM) industry, today announced that legal analyst and cable news mainstay Bob “The Property Man” Massi will address attendees of RV UserCon 2018 in a session focused on the HECM for Purchase loan program. Massi’s presentation, part of ReverseVision’s third annual user conference held February 6-8 at the Kona Kai Resort and Spa in San Diego, will provide attendees with a brief overview of the often-misunderstood HECM for Purchase loan program and deliver guidance on how to market this unique product to the qualified borrowers who stand to benefit from it. Following his opening address, Massi will moderate a panel discussion in which seasoned HECM for Purchase originators will share their personal experiences, success stories and actionable tips for building a successful HECM for Purchase business. HECM for Purchase is an FHA-insured program through which qualified borrowers can use the equity from the sale of a previous residence to buy their next primary home and take out a HECM loan with no required monthly principal-and-interest payment. “Millions of consumers around the country trust Bob Massi for his expert analysis of legal issues, housing trends, political issues and more. Mr. Massi has been delivering on-the-ground coverage of real estate news since the days of the financial crisis, and we couldn’t be more pleased to enhance our conference programming with his unique perspective on the HECM for Purchase program,” said ReverseVision Vice President of Sales and Marketing Wendy Peel. A high-profile legal analyst with more than three decades of courtroom experience and 20 years in cable news, Massi’s weekly television show “The Property Man” (Fridays at 8:30 pm ET on Fox Business Network) provides viewers with invaluable insight and expertise on the trends of a constantly shifting real estate market. Massi also appears on the “Fox & Friends” morning news show every Thursday covering real-time legal and real estate issues and hosts the weekly “Inside the Law” segment on KVVU-TV in Las Vegas. He is the author of “People Get Screwed All the Time: Protecting Yourself from Scams, Fraud, Identity Theft, Fine Print and More” and runs his own law firm, Massi & Massi, in Nevada. Early-bird registration for RV UserCon 2018 ends November 15. To apply for corporate sponsorship or speaking opportunities, contact: connect@reversevision.com. Previous articleNews: NIF Group, Inc. Acquires Agency Intermediaries, Inc.